2.75″ Gallifreyan holographic sticker | Stickers – Geek Girl Stuff – Geekery, art, jewelry, and more! Geeky stickers! Inspired by Dr. Who's Gallifreyan script. 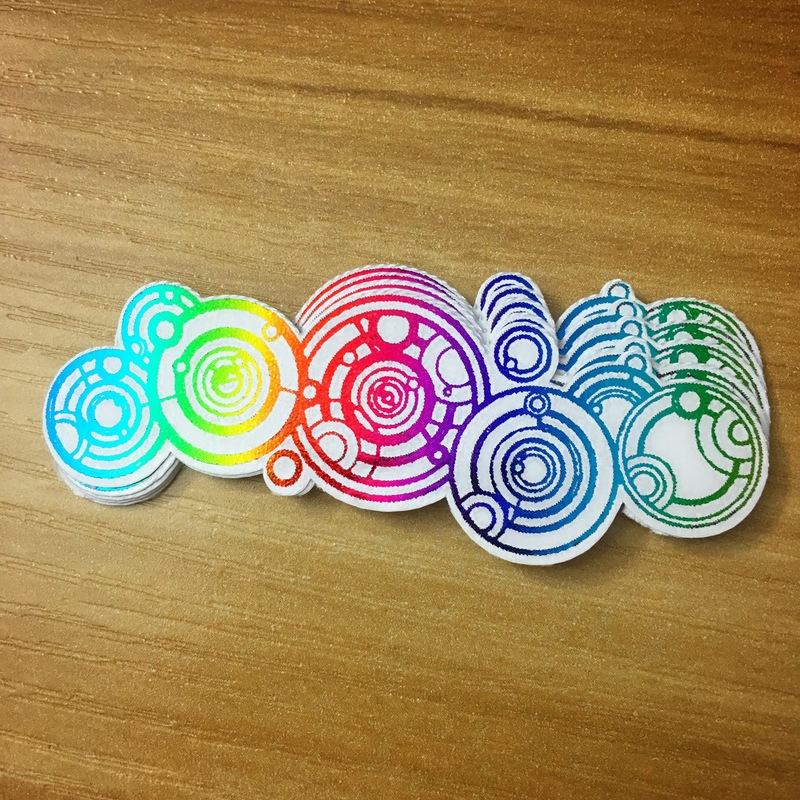 Each sticker is 2.75" wide and includes a rainbow holographic foil and clear coat of vinyl over the top. Perfect for adding to your sticker collection!